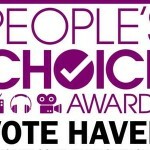 Calling all Havenites!! 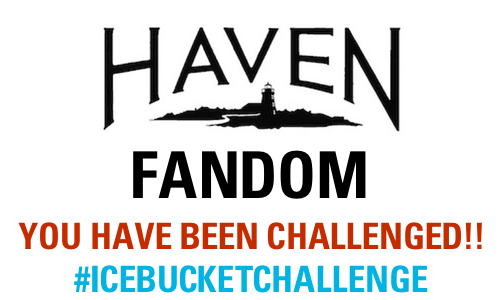 You have been challenged by me, Aimee J.
I was nominated for the ALS Ice Bucket Challenge and I thought what better fandom, than the Haven fandom to take on this challenge. The idea behind the challenge is to raise awareness and donations for the Amyotrophic Lateral Sclerosis Association. Please keep in mind that you are not being forced to do either of these things. The decision to participate is entirely upto you. If you cannot participate because of your financial situation or you just do not want to, no problem. ALL Havenites are welcome to particpate. Fans, Cast, Crew, Writers, etc. Let’s see how many #Haven #IceBucketChallenge videos we can get before the season premiere on September 11th. If you do the challenge, please share your vid and let me know on Twitter or Instagram [@aimeej21]. Who will join me?! More information can be found on aimeej21.com.